A better way to invest in startups. There was a meteoric rise in blockchain popularity in 2017. Everyone was in on it. The barber replaced chit chat about hot new stocks with advice about cryptocurrency portfolios. Cab drivers were fluent in ICOs. It was new, it was exciting, it was like investing in the internet in the 1990s. Many point to ICOs, or initial coin offerings, as a major catalyst for the cryptocurrency craze that took hold from 2017-2018. A simple way to understand an ICO is to think of it as a token at an arcade like Chuck E. Cheese’s. But imagine being able to buy tokens before the arcade ever opens. Tokens can only be used for this specific arcade, have a fixed supply and are not tied to any currency. Once the arcade has its grand opening, prices move up or down based on demand. Naturally, buyers holding onto “pre-launch arcade tokens” hope for a significant uptick in demand, driving prices higher. On the one hand, this demand would result in more games being played, blockchain companies sell digital “tokens” that can be used for data storage, computing power, or even casinos. The “tokens” are new cryptocurrencies and the sale before the arcade launches is the ICO. Blockchain takes care of the limited supply, easy trading and a few other more technical aspects. Angel investors dream of finding and investing early in the next Uber, Airbnb, Waze, or Mobileye. While it’s easy to get seduced by the hype, serial startup investors know it is hard to be successful in this asset class. With the help of members of OurCrowd’s experienced investment team and other industry resources, we have put together a quick, three-part guide to ‘earning your wings’. These articles highlight essential terms and strategies while referencing accepted industry best practices; with these basics in hand, getting started in startup investing can be a lot smoother. One of the most important rules of investing is diversification. The more companies you invest in, the greater chance there is at least one “winner” in your portfolio to give you the return you’re looking for. In angel investing, you could focus on diversifying based on company industry, and business stage. Some experts say that 10-15 companies is the minimum sweet spot for building a strong portfolio, while the Monte Carlo Simulation suggests that 25 investments provides the optimal return. Read more on the topic in our previous article, Risk and Reward: the Truth about Diversification. The distribution of returns within a VC portfolio typically follows the power law curve. According to Horsley Bridge, if you take a longtime limited partner in VC funds who has been collecting data on VC returns since 1983, you’ll find that just 6% of their hundreds of investments have generated 60% of their total returns since 1985. Professor William Sahlman of Harvard Business School is quoted saying, “80% of a VC Fund’s returns are generated by 20% of its investments.” The Angel Resource Institute published an Angel Returns Study in 2016 which reported that 10% of all exits generated 85% of all cash. They also reported that the failure rate (exits at less than 1X) of startups in their study climbed to 70% (from 52%). Forbes claims that 90% of new businesses fail, with 50% failing within the first four years, according to the U.S. Bureau of Labor Statistics. A 2007 study on angel investors’ returns found that those who spent more than the median time of 20 hours performing due diligence had an overall portfolio return of 5.9X, while those that spent less than the median only had returns of 1.1X (source). OurCrowd’s investment team (made up of around 20 investment analysts, principals, advisors, and partners) vets more than 200 startups a month. After analyzing a company’s team, technology, business model, market size, traction, and legal integrity, OurCrowd offers a term sheet or joins an existing round. Historically, we have chosen to invest in less than 1% of the deal flow we’ve seen in our pipeline. Here’s a visualization of OurCrowd’s Startup Vetting Process. The devil is in the details and venture investing is no exception. A proper term sheet should include valuation, investment and investor breakdown, form of investment, protective rights, and preferences. Below are definitions of some of the most common rights VCs negotiate. The following rights can be negotiated for Preferred Shares. For an easy to follow, bite-sized breakdown, watch this 3-part video series on Conquering the Term Sheet. Post-Money valuation (fully diluted): The valuation of a company at the close of a financing, which includes the new cash, the conversion of outstanding convertible securities, and creation or increase of unallocated ESOP (employee stock option plan). Anti-dilution: Generally structured as broad-based weighted average or full-ratchet, this right protects investor’s ownership from dilution when new shares are issued during a follow-on round of financing. With full-ratchet, in a down round, the conversion price is set to be equal to the share valuation at the current down round (note that full ratchet is VERY aggressive against the founders/initial investors – and very uncommon as a result). Weighted Average reduces the conversion price of previous rounds but does not set the conversion price equal to the price of the current down round. For an example of weighted average anti-dilution protection, read this article. Liquidation preferences: Investments operate based on LIFO (last in, first out). This feature provides downside protection for investments and are structured as either participating or non-participating. Which is better? It depends. Serious investors generally want to know the valuation of a company before they invest so they know exactly what they are paying for. Sometimes, to bridge funding rounds, investors choose a CLA (Convertible Loan Agreement) or a SAFE (Simple Agreement for Future Equity) to make an investment faster without forcing the current financing to set a valuation. CLAs are a form of debt intended to be converted into equity, usually at a discount, and/or a capped valuation. The agreement normally includes provisions covering interest, a maturity date, and a liquidation preference. SAFE Agreements give the investor rights to preferred stock in the next financing round where the investor can either take the equity or convert it into its cash equivalence. Over the past 20 years, the definition of funding rounds through capital raises in each round has fluctuated significantly. For example, seed rounds have historically been defined as rounds between $500K-2M. 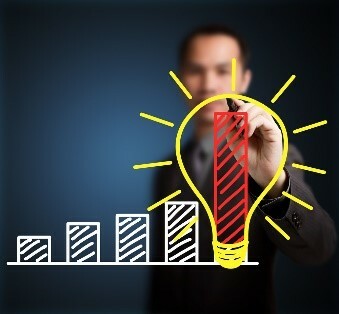 However, recently, startups with little more than an idea or a pitch deck have been raising radically more. With this in mind, below are guideposts for typical funding stages. That concludes Part 1 of the series; stay tuned for Part 2 and Part 3 in the coming weeks. Meanwhile, learn more about startup investing terms and how the process works by downloading our in-depth guide, How Startups Are Born: An investor’s guide for the perplexed. Do you have any risk-taking stories of your own to share? Leave your questions and comments below, and stay tuned for the next article in the series. 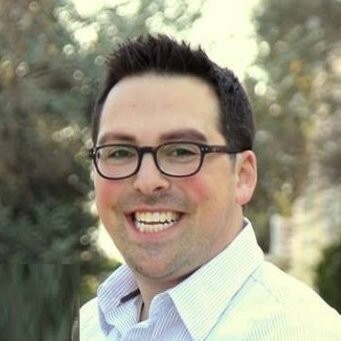 Noah Pickholtz is Vice President of Investor Relations at OurCrowd and a voting member of the Investment Committee; his team manages investor communications, engagement and operations out of OurCrowd’s Jerusalem headquarters. 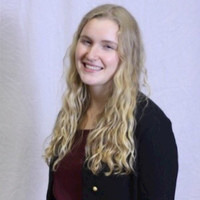 McKinley Hall is a startup enthusiast with experience consulting with startups and non-profits in the US, Israel, Europe, and LATAM; she is completing her studies in International Business at George Washington University. It’s no secret that Israel has been driving the mobility sector forward for years – and this week, Startup Nation has zoomed past another milestone: Intel announced yesterday its $15 billion acquisition of Jerusalem-based Mobileye, a leader in the autonomous driving industry, creating waves across the global mobility scene and making it Israel’s biggest acquisition of all time. Israel is actually earning the title of world leader in autonomous driving. Big money is getting behind and moving the big business of autonomous driving. Honda, Ford, and other multinationals are seeking out their own connections to Startup Nation. Last year, Honda Silicon Valley Lab came to Israel seeking mobility tech – and found it in VocalZoom, an Israeli startup (and OurCrowd portfolio company) with which Honda announced a partnership almost a year later at CES in January. In a global twist, at the 2017 Global Investor Summit last month, Mobileye presented alongside Zoomcar, a mobility startup based in India (and an OurCrowd portfolio company). The two discussed their partnership: Zoomcar has installed the Israeli company’s warning system to enhance security measures in their fleet. The company plans to incorporate Mobileye’s technology in more than 10,000 cars by December 2017. Other familiar companies include Via, Moovit, Juno, and Gett, which has a $2B valuation. The big questions now are – what are the developments coming out of the mobility space to watch? And which are the companies to keep an eye on? Here’s an answer by Michael Granoff, the driver behind the wheel at Maniv Mobility, Israel’s first exclusively-focused mobility fund. Otonomo, connecting vehicles and data to a rich ecosystem of apps, offering a wide range of services to vehicle owners while allowing them to maintain control over the data they share. Oryx Vision, developing a sensor for autonomous vehicle applications that is neither radar nor lidar, instead using micro antennas to detect light waves, thereby offering unmatched resolution and adverse weather functionality at very low cost. Drive.AI, developing a deep learning based system that allows perception of the environment around a vehicle, offering significantly better performance than current generation solutions (like Mobileye) on the same applications. There’s clearly a lot going on, so strap in your seatbelts and adjust that dashcam. Start with some of the highlighted content below. For further examination of the autonomous driving industry and Intel’s strategy with Mobileye, start with this article in Fortune, Why Intel bought Mobileye. Self-driving startups make ripe targets, an industry list by Automotive News. And for a good read on why this is not ‘scale-up nation’ selling out – Aleph’s Michael Eisenberg says it well. Check out the Transportation Tech panel from the recent 2017 Global Investor Summit. Read more on how Israel is positioned for global investments with its focus on mobility. Learn more about OurCrowd’s mobility portfolio here. 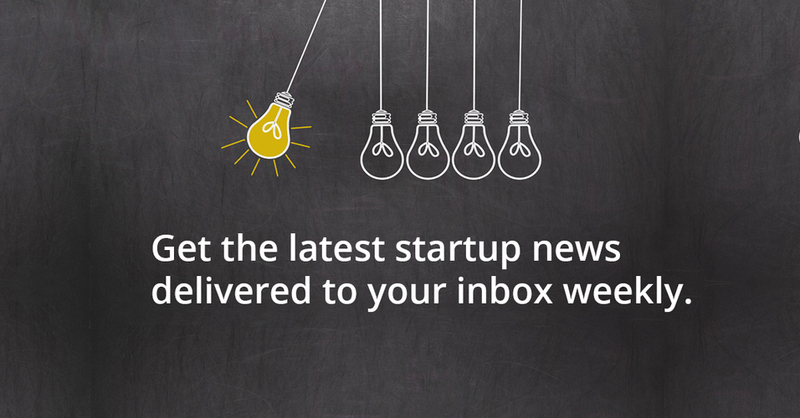 For information on mobility startup investment opportunities, please be in touch. Guest post by Phillip Fine, Jerusalem-based writer/editor. There’s commercialization of military know-how and then there’s Israel’s commercialization of military know-how. Take mPrest Systems Inc., a software maker headquartered in Petah Tikva, a city of 231,000 roughly 11 kilometres east of Tel Aviv. That company is selling the software that Israel used in Iron Dome – its system for shooting down Hamas rockets — to electric power utilities to help them prevent blackouts. Specifically, by polling sensors, the software allows an electric utility to monitor its equipment. The utility can then better predict when a transformer might pop, thus allowing for repairs before the electricity goes off. One customer, the New York Power Authority, has already used the software to pinpoint transformers that it didn’t even know were problematic, says Natan Barak, mPrest’s CEO, who spoke to Media Line at the OurCrowd global investor summit in Jerusalem Feb. 16.
mPrest hopes to sell the software to other electric utilities in the U.S., as well as to power companies in Asia. In fact, the company is customizing its product so utilities in that part of the world can better match power generation with power consumption, thereby reducing the possibility of outages and blackouts. All told, mPrest’s software helps electric utilities tie together their many moving parts, such as sensors, closed circuit TV cameras, alarms, fences and patrol vehicles. Indeed, the product can connect more than 300 sites, five levels of hierarchy, as well as tens of thousands of sensors. But what about Israel’s security? Isn’t it endangered by the sale of Iron Dome software? After all, from 2011 to 2014, Iron Dome reportedly intercepted more than 1,200 rockets that Hamas fired from Gaza. And many of those rockets would have hit populated areas. Moreover, Israel hopes to make Iron Dome even more useful, extending its range to 250 from 70 kilometres, as well as tweaking it so that it can simultaneously intercept rockets coming from two directions. But Israelis needn’t worry that their enemies might gain the upper hand. Because mPrest’s software uses only Iron Dome’s infrastructure, and not its operational capabilities, there’s no security risk, says Mr. Barak. In the meantime, mPrest sees its software helping power the so-called smart city: those systems that use sensors to knit together the many layers of communication in a complex urban area. Take a tree that falls on a homeowner’s driveway or front lawn during a blizzard or an ice storm. Thanks to mPrest’s software, the homeowner need only push a button on his android, rather than phone city hall, to report the problem, Mr. Barak says. mPrest has already sold this type of software to Bezeq, the Israeli phone company, which in turn will license the product to cities throughout Israel. mPrest also hopes to sell the software to telcos in other parts of the world. Yet another customer for mPrest’s product will be Netafim, the Israeli maker of drip and micro-irrigation products for both the agriculture and greenhouse sectors. Through the use of ground-based sensors, an irrigation company will be able to use the software to measure out the right amount of water at the right time and at the right place. Mr. Barak, now 58, is perhaps the perfect person to bridge the gap between software used in defence and software used in business. Not only does he hold a B.Sc in electrical engineering from the Technion, Israel’s version of the Massachusetts Institute of Technology, but he also holds an MBA from Bar-Ilan University in Ramat Gan near Tel Aviv. In addition, he has a master’s degree in political science from the University of Haifa. More important, he spent 23 years in the Israeli navy, during which he helped develop command and control systems for the country’s submarines, missile boats and helicopters. He also helped develop a simulator for subs. Founded in December 2003, mPrest now boasts 180 full-time employees, of which 160 are either engineers or specialists in mathematical algorithms. Although private, the company is likely to go public in a few years, Mr. Barak says. mPrest Systems is an OurCrowd portfolio company; to learn more about the investment, visit ourcrowd.com. And, indeed, the end-of-year data for 2016 has exposed what everyone pretty much knew: In 2016, venture capital funding in the US was down year-over-year, following five years of consistent growth in funding. According to data provided by Pitchbook, VC funding dropped roughly 14% – from the impressive $79.2 billion funneled into US-based startups in 2015, to a more modest sum of $68.3 billion in 2016. Perhaps even more telling is the decrease in the number of deals done in 2016 vs. 2015: 10,486 in 2015, compared to 7,966 in 2016. And exit activity was also lower, with 935 exits compared to just 719 in 2016 – representing a 25% drop. Yet – while this somewhat sobering description may accurately portray 2016’s investment story in the US – in Israel, the investing environment was different, demonstrating continued momentum, and a more positive atmosphere. Indeed, the growth trend in both dollars invested and number of deals done continued apace in Israel in 2016. In 2016, Israeli VC investing showed growth in almost all key metrics – a continuation of what has been a very strong growth trend (some might ask if it is too strong?) over the past five years. According to the recently released report, Summary of Israeli High-Tech Company Capital Raising (IVC and ZAG Report), 2016 actually saw a record high of $4.8 billion of capital raised, which is 11% above 2015 levels, and up from $1.8 billion in 2012. In addition, while the number of deals fell a modest 7% from 2015 levels, the average deal size rose to a record $7.2 million, up 19% from 2015 levels. and a new influx of Asian capital. Below, I take a closer look at each. During 2014-2015, startups in Silicon Valley saw record amounts of investment. Much of this came from new sources of capital, such as sovereign wealth funds, hedge funds, a new trend towards corporate venture capital and strategic corporate investment, and large family offices. And as pointed out in PitchBook’s analysis, this sudden increase in available capital drove up valuations across the industry. It generated a plethora of new unicorns (private companies valued at over $1 billion). This led to somewhat of a “hangover” in 2016, when companies found it harder to complete next funding rounds as founders’ valuation expectations were often different than what the market was willing to pay. In the 2016 climate, some US-focused VCs were worried about where the follow-on investment would come from for later stage companies – and in many cases, they opted to reinvest in their own companies as opposed to launching new investments. As a result, overall deal activity slowed. Indeed, according to Crunchbase, in 2016 there 14 new unicorns created, down from 48 in 2015. In contrast, this dynamic did not play out in the same way within the Israeli ecosystem. While valuations have been rising at a healthy rate in Israel – and in some cases, and some sectors, I would argue have gone too far — in general, valuations in Israel did not go up nearly as much during 2015, compared to Silicon Valley. Instead, most valuations stayed pretty much in-line with business fundamentals. As a result, when it came to the ‘next round’, Israeli companies found there were eager and interested funders available. In fact, later stage rounds – the area where valuations became more extended in the US – saw the greatest growth in Israel (more on this below). “Skate to where the puck is going, not where it has been,” said Wayne Gretzky, but that’s only part of the story. When it comes to growth in investment dollars, it is often very important not to look at venture capital as one uniform sector (though it is of course an asset class), but rather to look at the areas of technology that are attracting the most interest from global investors. Even when investing slows down, as it did in the US this year, the slowdown is not uniform across different sectors. Specific areas of technology development and innovation will continue to attract interest and funding. 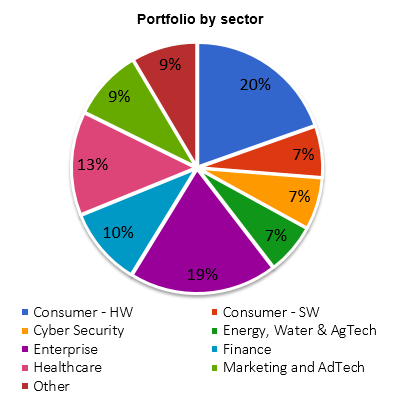 According to a recent year-end 2016 report by Crunchbase, key frontier technology sectors, such as transportation (autonomous vehicles, drones, logistics), artificial intelligence, and AR and VR, all saw significant growth in investment across the globe, with investment in each of these sectors up between 70% and 150% in 2016. This reality played in Israel’s favor in 2016, as the Israeli high-tech sector is well positioned in key areas of technology that have continued to attract interest. These include AI (artificial intelligence), machine learning, drones, autonomous automotive technologies, Big Data analytics, robotics, digital health, and cutting edge areas of cybersecurity. These are spheres of excellence where Israeli has historically been strong, and where the country’s best companies have been – and continue to be – created. As a result, Israeli entrepreneurs have been incredibly active in these technology areas and global capital continues to flow. Cybersecurity is a prime example of an Israeli field that has historically been very strong, producing some of Israel’s largest companies (CheckPoint, CyberArk), and global investing interest remain strong. According to data gathered from CB Insights and CrunchBase, there was a 23% increase in funding for cybersecurity companies across all stages in Israel —from $560 million in 2015 to $689 million in 2016 (even as funding in this sector dropped roughly 20% in the US. Newer areas of innovation such as AI, VR/AR and mobility (drones and autonomous vehicles), play right into Israel’s core strengths and are becoming key areas of growth, attracting large amounts of new investment. Israeli -founded Mobileye – now traded for over $9 billion – was at the forefront of many of the technologies that now enable autonomous driving. Israeli entrepreneurs and engineers are attracting rapidly growing amounts of capital in this area. Interestingly, we are seeing Israeli companies excel at the convergence points of key technology trends. For example, a number of Israeli startups are emerging as leaders in cybersecurity for automobiles, while others are using expertise in big data analytics to move the autonomous driving industry forward. Israel has recently become active in the automotive and smart mobility industry. 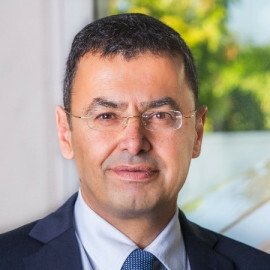 Technology companies like Mobileye and Valens or mobility service providers like Waze and Gett have their roots in Israel and foster growth of this sector in the region… the digitization of mobility has required new competences – such as object recognition and tracking for advanced driver assistant systems, or mobility behavior projections for shared ride services. These are precisely the fields where Israel has developed competences in the past, often targeting military defense applications or Big Data applications for intelligence services. A growing awareness for the availability of these competences is reflected by the increasing investments and activities of automotive players like GM, VW, Daimler, Ford, Renault-Nissan, Bosch, Samsung (Harman), and many others. Large funding rounds providing later stage “growth” capital for startups ready for expansion have been a part of the VC/startup scene in Silicon Valley and New York City for many years. However, in Israel, startups have generally built more capital-efficient businesses, and have often exited earlier — through either an IPO or M&A. Therefore, larger, later stage funding rounds have historically been less prevalent in Israel. In 2016, that started to change as founders and investors realized that in order to scale their businesses faster, and better compete on a global basis, larger amounts of capital were necessary. Larger rounds at later stages of growth have also become more important in a capital markets environment, in which it has become more challenging, and less desirable to IPO. While it is true that companies are staying private longer all around the world, in Israel there’s a new phenomenon in which larger, later funding rounds are becoming more normative. Five years ago, when a company reached a certain stage and needed to raise $30-50 million for a round D, they would either sell or go public. Generally, such amounts of growth capital were not available in Israel. Now, there’s late stage capital available and investors who are searching for those bigger, late stage growth companies. This is combined with serial entrepreneurs looking to build large companies with global scale. In 2016, there was a clear acceleration in later stage growth rounds in Israel. According to IVC, there were 76 large deals (defined as above $20 million), up over 25% from 2015. It is a testament to the strength and breadth of the Israeli startup ecosystem that these companies represent a wide range of sectors, including cybersecurity, fintech, clean tech, digital printing, mobility and semiconductors. Until relatively recently, the vast majority of foreign capital investing in startups in Israel came from the West – North America and Europe. Over the past five years, we have seen a major shift, with increasing interest from Asian investors, primarily from China, Hong Kong and Singapore. In 2016, this trend accelerated dramatically, and while accurate data is hard to pinpoint, Asian investment activity – especially from China—has grown dramatically. According to one estimate (IVC), Chinese investment in Israel has grown roughly 50% year over year since 2011. I believe that growth rate may have been higher in 2016. Anecdotally, I can say that in well over 50% of the investments we look at seriously (those in which we would consider investing), we note that there are Asian investors either looking at the deal or who have put forward a term sheet. One data point worth noting is that the amount of capital deployed by Israeli VCs in 2016 was roughly flat with 2015. Thus, the $400 million of growth in capital deployed in 2016 was almost all driven by foreign VC and strategic investors. I believe that a very high percentage of that came from the East. The surge in capital coming from Asia is a response to the fact that Israeli high-tech has generally matured and offers highly innovative and proprietary technologies to the Asian markets. Chinese investors in particular have woken up to the significance of Israeli technology and the opportunities inherent in developing Chinese-Israeli business partnerships. Bringing great products and solutions to the huge markets of Asia can be a win-win proposition for all. Working more closely with Israeli companies also means getting Israeli attention in terms of the direction of product development, i.e., Asian money is pulling Israel’s tech attention toward Asian markets, in contrast to more US-centric companies. And the Asian interest in Israeli companies is not just about passive investment: According to PwC’s 2016 Israel M&A Report, investors from the Far East were involved in nine acquisitions of Israeli companies in 2016, totaling no less than $6.38 billion, representing a 3.5-fold increase from the previous year. Six of those deals specifically involved investors from China. At a recent event in Tel Aviv, the China-Israel Forum hosted by the Chinese media group Caixin, the growing role of China in Israel and cooperation between the two countries was explored. The forum highlighted the fact that China is one of Israel’s largest trading partners (I believe it is #2 after the US), and both sides are highly motivated to build on the growing relationship. At the event, dozens of entrepreneurs from China and Israel gathered to discuss tech links between the countries, and Caixin Editor-in-Chief Hu Shuli was quoted as saying that China is especially interested in Israel’s tech innovation and talent in the areas of cybersecurity, agriculture, AI, and the Internet of Things. I remain very enthusiastic about the trends I am seeing as we’ve entered 2017. Israel is well positioned in some of the most important emerging areas of technology. The core competencies of Israel’s technology ecosystem are well suited to benefit from “where the puck is going” – and global investment dollars are flowing. Nonetheless, while Israel sidestepped the modest slowdown experienced by the US VC industry in 2016, we need to be cognizant of the global nature of the technology industry. Both business and investment trends are international, and the cycles in one geography are highly intertwined with the rest of the globe. The Israeli startup and investment scene continued to thrive in 2016 and overall trends feel solid going into 2017. 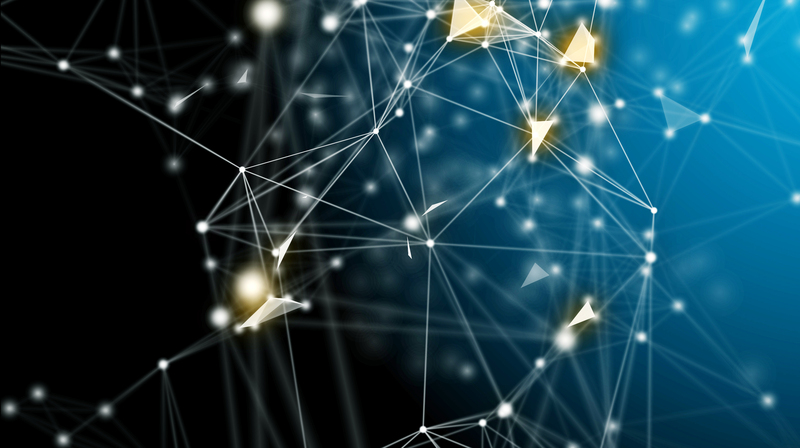 However, we’d be wise to remember that we’re just a small—if important — part of a highly interconnected, global community. The future development of the Israeli high-tech sector will be driven by many of the same unique attributes on which the ecosystem has been built, but is also likely to reflect, in one way or another, what’s happening elsewhere in other parts of world. Thanks to David Stark and Liz Cohen for contributing to this thought piece. You can view our currently funding investment opportunities here. It’s seems a waste to talk about startup investing without sharing some of the most awe-inspiring successes. We could start with Accel, the VC that invested $12.7 million in Facebook’s series A to buy 11% – back in 2005 – in a deal that was widely ridiculed for the valuation that Accel was willing to pay. Of course, Accel had the last laugh. In 2012, at IPO, Facebook’s market cap was over $100 billion, meaning that Accel eventually realized a return of 800 times its principal investment. Or else we could have a look at Bessemer Venture Partners’ $6 million series A for Intucell in 2011, which purchased them nearly half of the Israeli startup. Two years later – with no additional funding – Intucell was acquired by Cisco for nearly $500 million. Bessemer’s stake of about 50% returned over 25-30 times their principal investment. It goes without saying that these are the sorts of stories you generally don’t find outside of the VC space, in other asset classes – and it’s the magnetic pull that draws investors to startups. At the same time, the reality is that most people (or institutions) that invested in these unicorns also invested in a broad portfolio of other businesses, which may or may not have been successful. So how does the perceptive investor ensure that, among all the misses, there is also that hit (or hits)? Diversification is a cornerstone of any smart investors’ approach to asset management: ensuring a portfolio covers multiple investments in different asset classes – including stocks, bonds, and cash, and perhaps real estate or commodities – and that the investments are not correlated. 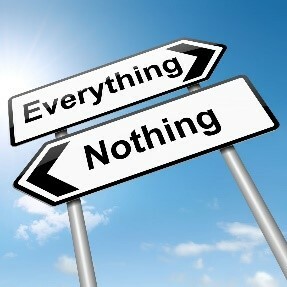 In a perfect world, investors look to identify assets with returns that move in opposite directions. The assumption is that by spreading the exposure around, you can limit the risk. 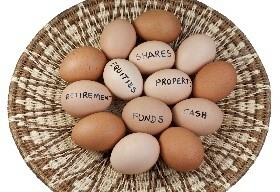 The golden rule of diversification is that by spreading out your investment portfolio, you can maximize long-term gain. It’s necessary both in terms of the returns, and to ensure the peace of mind that comes with knowing you have done what you can to avoid excessive damage to your assets. Moving back to the world of startups, the concept of diversification is somewhat more complex. With startups, the magnitude of risk is greater and therefore, how you approach the space has a massive impact on your potential profits. As we’ve mentioned, conventional wisdom states that startups could represent around 5% of your total portfolio. On top of that, investment in startups should be spread across many ventures – where the word “many” means, at the very minimum, at least ten, but with most top firms placing between 20 and 75 companies or more, within each fund. And, as so aptly described in this Forbes article, venture capital tends to yield binary results. 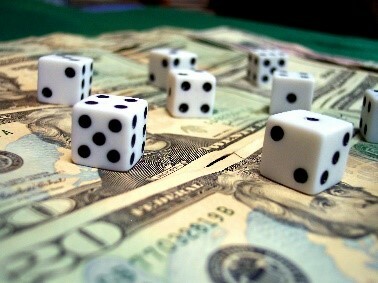 This means that, generally, you can either hit the jackpot – or lose everything. By diversifying a portfolio and investing in multiple companies, you mitigate this risk. Dave McClure of 500 Startups (quoted on TechCrunch here) puts it in terms of simple mathematics: Unicorns happen 1-2% of the time, so it is logical to adopt a portfolio size that includes at least 100 companies. A larger portfolio size increases your chances of investing in a startup that succeeds; and what makes the whole system work is the fact that the 1-2% that achieve unicorn status return as much as 50x or more of investment. Here’s where Babe Ruth comes in. As explained by Chris Dixon, general partner at Andreessen Horowitz, in this post about the Babe Ruth Effect: even though Babe Ruth struck out a lot, he was one of baseball’s greatest hitters. Why? His incredible record of home runs. Home runs are a big deal in baseball because, with one swing of the bat, multiple runs can be scored. As a result, the high number of times that Babe Ruth struck out was offset by the magnitude of his wins. This concept applies perfectly to startup investment. Startups are uniquely volatile, and investors must expect to have plenty of misses. Successful investing in this space means ensuring that you also get the home runs. Of course, the greatest investors and funds not only have more home runs, they also have wins of greater magnitude. As we’ve pointed out, diversification of an investment within the startup space is not only a question of investing in a greater number of ventures. Diversification involves covering your bases in three directions: sector, time, and geography. A well-diversified portfolio holds investments across a number of different industries and sectors, because each one is likely to move in its own way. Furthermore, because all business is effected by the macro economy, by investing in companies over a longer period you can mitigate damage that can be caused by large-scale problems such as changes in the funding climate or a national recession, which increase risk. Lastly, a portfolio that is spread out over several countries or regions has the potential to tap into different opportunities. In addition, being in different geographical locations mitigates the risk that, for example, a change in government or regulation can hurt your investments. But this is just a part of the picture. While we’ve established that startup investing should be a slice of a portfolio that includes other asset classes, and that within the space investment should be diversified over multiple ventures in different sectors, times, and geographies, there’s one more glaring part of this process: the question of due diligence. The high level of startup failure means that you need to be highly selective in choosing which ventures you invest in. The bulk of returns comes from a very small percentage of the total number of companies. According to the Kauffman Foundation’s Angel Investor Performance Project, 52% of early startup investments fail to return 1x; somewhat similar numbers are reported by the well-established fund Horsley Bridge, which says that 62% of its funds’ early venture investments provide a return of less than 1x. These numbers reflect a key stat in the startup space: the top 10% of companies hold a disproportionate share of the total returns for the portfolio, which means that – in this space – doing a high amount of diligence is crucial. Simply put, diversifying across randomly selected startups will not help a portfolio. As a result, it is more important than ever that investments are diversified across only “top” startups – and identifying each of these is incredibly hard, time-intensive work. And this needs to be multiplied, if you are following best practice, by anywhere from 10 to 75 startups or more. To quote Hamlet: “Ay, there’s the rub.” Or to describe the conundrum succinctly: Part of what makes startup investing such a challenge is that it involves maintaining the required high-level of due diligence, which is very time intensive, for a well-diversified, carefully selected portfolio – in which, if you’re following best practice, there are dozens of ventures. Putting it mildly, it’s a herculean task. Enter OurCrowd’s Portfolio Index Fund, or OC50. 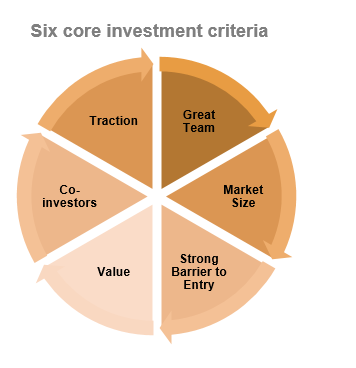 The first of its kind, OC50 provides an entry point to startup investing that allows even non-seasoned investors to build a highly diversified portfolio with as many as fifty private, early stage ventures across different sectors, stages, and geographies – and with a uniquely low minimum investment (as little as $50,000). OC50 is driven by OurCrowd’s experienced team of former venture capitalists, which has invested $320 million in 100 portfolio companies, participating in rounds alongside global, tier-1 investors like Andreessen Horowitz, Bessemer Venture Partners, and Sequoia. Based in Israel with activities globally, OurCrowd has evolved in the past four years to become one of Israel’s most active investors. It has vetted 5,000 companies to date and has a stellar track record that includes 9 exits so far – to Intel, Oracle, Rakuten, and public markets – including the first-ever IPO via equity crowdfunding in history. Getting down to the nitty-gritty, the way OC50 works is that the fund will invest $500,000 in the next fifty investment rounds that OurCrowd invests in – provided that OurCrowd’s participation in the round is at least $1.5 million, and that the round is launched on the OurCrowd site, i.e., it is not an “internal” round. Furthermore, Cambridge Associates’ 2016 report, The 15% Frontier, demonstrated that private investments – private equity, venture capital, and direct investments – show promise among the alternatives, such that institutional investors with a relatively higher exposure to private investments appear to outperform. Investors searching for outsized returns, and who can absorb venture capital’s uniquely long average holding period of over ten years, are attracted to venture. At the same time, angel investors face among the highest levels of risk of losing most or all of their principle on a per-deal basis compared to almost any other asset class. Because the payouts sought from a small number of successes are intended to cover the average per-deal loss, diversification across a broad group of investments is an absolute must for angel investors. One of the advantages of OC50 is that potential deals are screened by an investment team, and ongoing, in-depth due diligence is handled by seasoned and successful VC professionals. The process involves checking key factors determining a company’s probability of success, including gaining an understanding the quality of the team, market size, barriers to entry, value, co-investors, and traction. OurCrowd evaluates business plans and feasibility, as well as technology differentiation, the competitive landscape, industry trends, and forecasts. The team dives deep into a venture’s financial performance and looks at projections, customers, and partner relationships. OC50’s sourcing apparatus is bolstered by the fact that OurCrowd has co-investment relationships with major VCs (like Accel and Battery Ventures), angels (like Marc Benioff of Salesforce and Gigi Levy of 888 and Amdocs), and multinational strategic investors (like Bosch and Deutsche Telekom). And investors also benefit from visibility into the existing OurCrowd portfolio, which features numerous startups that have become breakout leaders in their respective sectors – including companies like ReWalk (NSDQ: RWLK), Replay (acquired by Intel), and Crosswise (acquired by Oracle). OC50 investors have exposure to a roster of the follow-on rounds that OurCrowd participates in. OC50 provides unique access to OurCrowd’s highly diversified portfolio of carefully vetted startup opportunities. To leverage the unique opportunity of OC50, learn more or be in touch. For OurCrowd investors, we will soon be hosting an Ask Me Anything session on the OurCrowd App with Founder and CEO Jon Medved. Details to follow. Can Startups Fix Broken Accounts? NOTHING ON THIS WEBSITE SHOULD BE CONSTRUED AS AN OFFER TO SELL, A SOLICITATION OF AN OFFER TO BUY, OR A RECOMMENDATION FOR ANY SECURITY BY OURCROWD OR ANY THIRD PARTY. YOU ARE SOLELY RESPONSIBLE FOR DETERMINING WHETHER ANY INVESTMENT, INVESTMENT STRATEGY, SECURITY OR RELATED TRANSACTION IS APPROPRIATE FOR YOU BASED ON YOUR PERSONAL INVESTMENT OBJECTIVES, FINANCIAL CIRCUMSTANCES AND RISK TOLERANCE. INVESTORS AND USERS SHOULD CONSULT WITH LICENSED LEGAL PROFESSIONALS AND INVESTMENT ADVISORS FOR ANY LEGAL, TAX, INSURANCE, OR INVESTMENT ADVICE. PLEASE CLICK HERE FOR ADDITIONAL DETAILS.